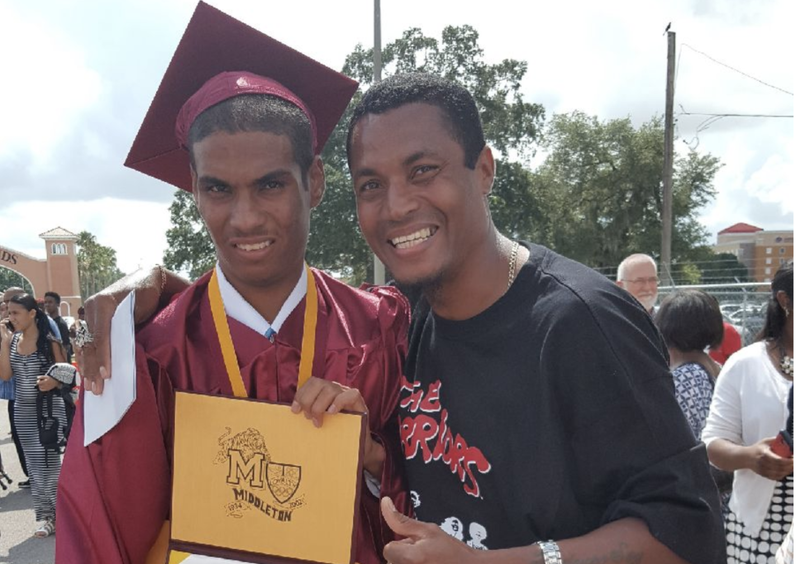 A 20-year-old Tampa Bay, Fla., man with special needs appears to be the latest victim of a possible serial killer who has shot and killed three people in Tampa’s Seminole Heights neighborhood. Anthony Naiboa, 20, who had an autism diagnosis, took the wrong bus home from work Thursday and was shot and killed around 8 that night. Officers patrolling the area heard gunshots and found his body minutes later, WFLA-TV reports. “He was in the prime of his life and was taken instantly,” said interim Tampa Police Chief Brian Dugan during a news conference Friday morning. In the last 10 days, the bodies of three people, killed in the same manner, have been found within 1 mile of one another. “We believe it’s the same person,” Dugan said of the perpetrator, noting that at this time they have no motive or leads in the killings. Naiboa’s body was found on the sidewalk near the home where the killer’s first victim, Benjamin Mitchell, 22, lived. Mitchell was shot and killed at a bus stop and his body was discovered Oct. 9. The second killing happened on Oct. 13 a few blocks away, where the body of Monica Hoffa was discovered in a vacant lot. Naiboa’s parents called police when their son, a recent high school graduate, did not return home from work Thursday night. His father, Casimar Naiboa, says that his son had a job packaging hurricane-relief supplies. “He wasn’t any threat to nobody; he never did nothing to nobody,” Casimar Naiboa said. The family, which includes Anthony Naiboa’s four siblings, held a memorial for their beloved on Friday. “I can’t believe my son is gone,” Casimar Naiboa said. Chief Dugan urged people to watch a video released earlier this week to see if they recognize the person recorded by surveillance cameras. “Do not assume it’s a white, black or male,” he cautioned. Crime Stoppers of Tampa Bay, in partnership with the Bureau of Alcohol, Tobacco, Firearms and Explosives, on Friday offered a $25,000 reward for any leads in the shooting deaths. Anyone with information regarding the case is urged to call Crime Stoppers at 800-873-TIPS (8477), report anonymously online or send a mobile tip using the P3 Tips mobile application, which is a free download for iPhones, iPads and Droids.